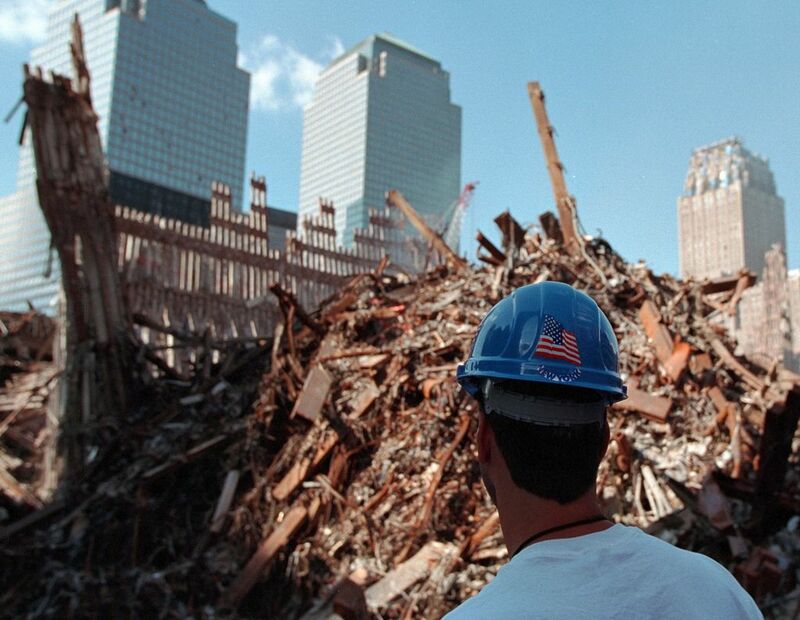 A disaster-response worker gazes at the wreckage of the World Trade Center in New York City in October 2001. On Sept. 11, 2001, Islamic terrorists from a group called al-Qaeda crashed commercial airplanes into the “Twin Towers” of New York City’s World Trade Center, the Pentagon in Washington, D.C., and a field in rural Pennsylvania. More than 3,000 people died. This was the most violent attack on the United States since Pearl Harbor in 1941, and the deadliest terrorist attack in U.S. history. The attacks were so shocking they are known by their date alone: 9/11. President George W. Bush made national defense and counterterrorism a priority after the attacks.